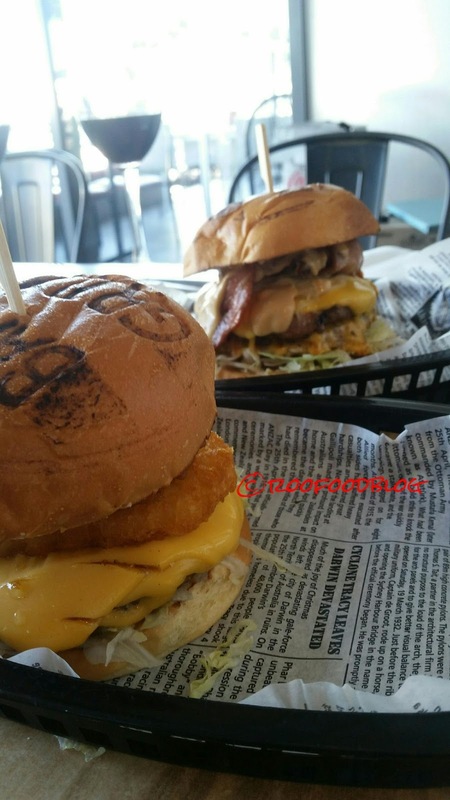 The burger craze has been sweeping Sydney for some time now and there are some awesome burger joints that are taking the "meat between a bun basic burger" to new levels. 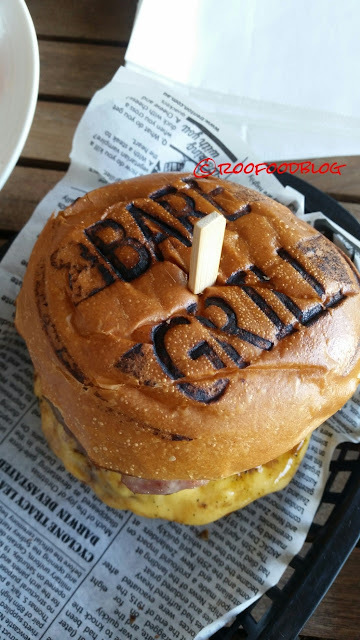 One of the most notable burger joints is Bare Grill. In a little over 12 months Bare Grill have climbed that ladder to new heights and offering up some great tasting concoctions! I have had the pleasure of smashing a Bare Grill burger or two over the past few months and it has fast become my go to burg place when a craving hits. The last couple of visits I have chosen The Hangover (not the Bradley Cooper variety). 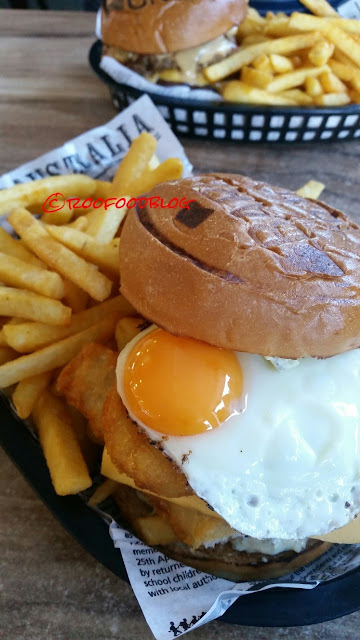 A soft bun with beer battered fish, American cheddar, hash brown, sunny side egg, fries and pickled mayo. I love me some pickled mayo! The Boy has indulged in the Wild West burger. Thanks to Ompty's great discount deals. You can grab either of these with fries and a soft drink for $10! 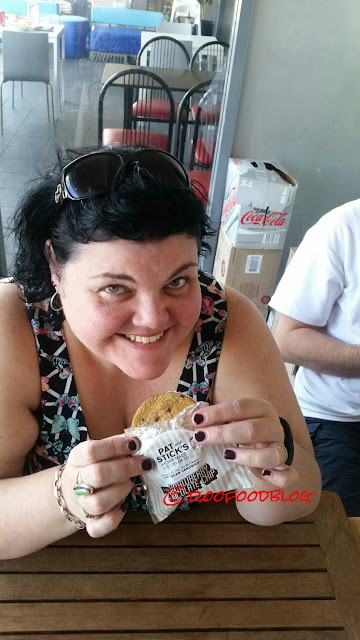 Thanks to ompty.com for inviting me along recently to sample some more delights, it gave me a chance to try some of the other delicious offerings (I usually smash a burg and hit my peak!). 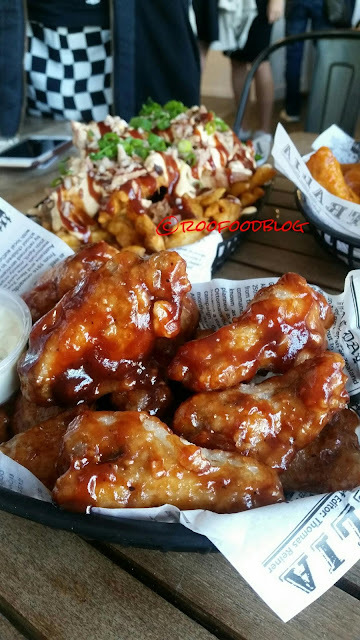 We start with the buffalo wings, BBQ wings and a serve of the EPIC Fries (definitely sharing dishes by the way). The buffalo wings are crispy and crunchy covered in a not to spicy buffalo sauce. 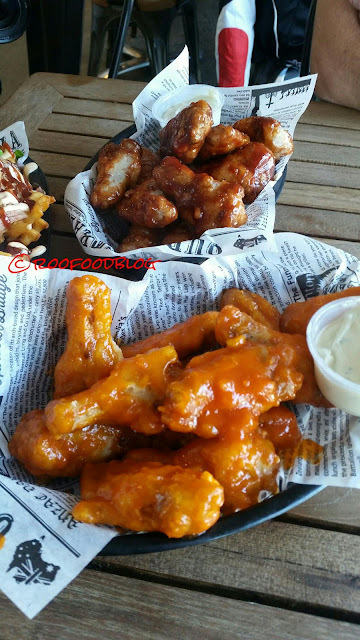 I love buffalo wings and blue cheese dip!!! 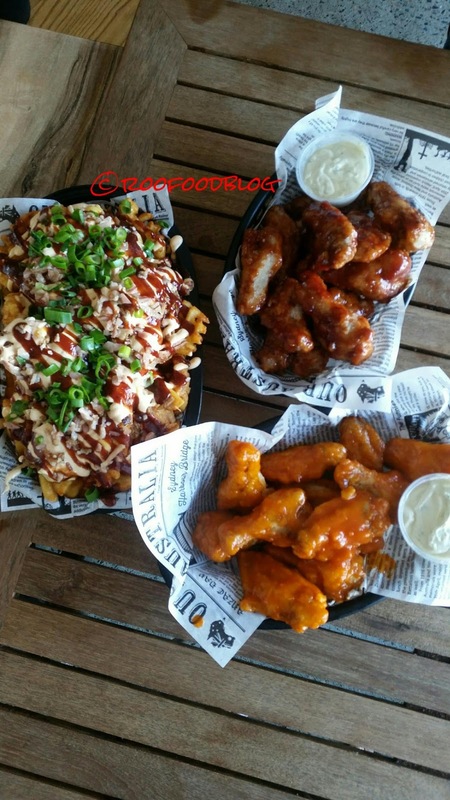 Epic fries. 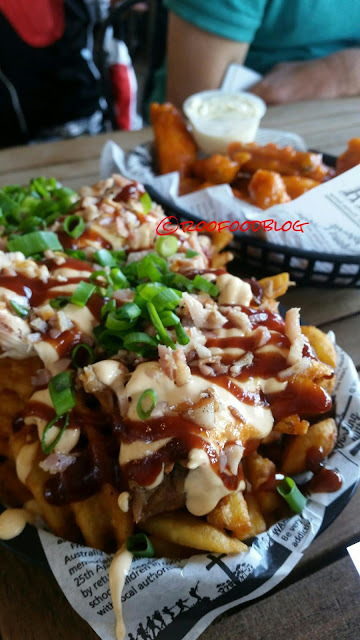 Crispy waffle fries topped with pulled pork, gooey liquid cheese (that stuff is addictive), spicy aioli, shallots, bacon and Carolina sticky BBQ Sauce. I move onto the burgers. I have opted for The Fatties. Appropriately named after the Facebook Group (which I am of course a member of). It has double beef patties, American cheddar, bacon and the delicious Bare sauce (addiction right there peeps)! The Fatties really hit the spot for that ‘cheeseburger’ craving. The beef patties are juicy and perfectly cooked. There is just the right amount of grease to soak into the burger too. 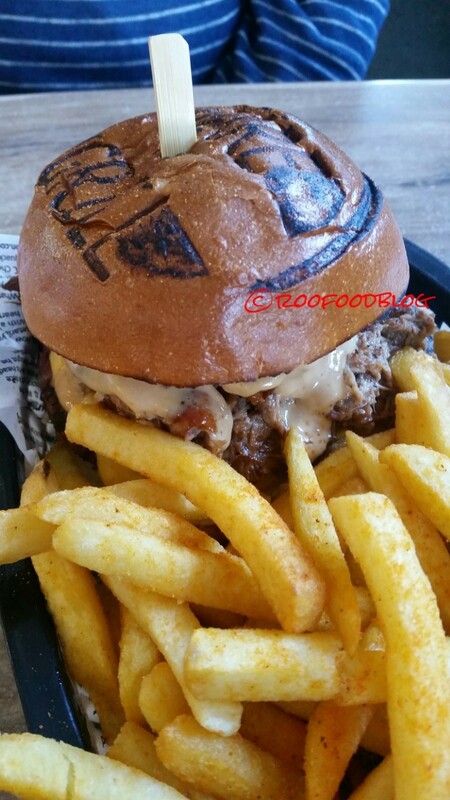 Don't you just love the branding on the bun? The Boy has been eyeing off The Bare Cockfighter the last couple of visits and goes with it today. 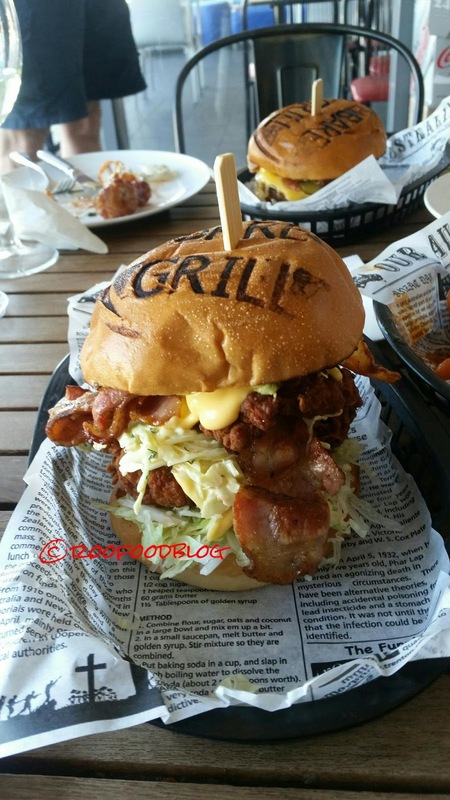 It has two Southern fried chicken, bacon, American cheddar, guacamole, coleslaw, iceberg lettuce and big bare sauce. Instant love!! Everything is made in house (except for the pulled pork, which is ordered in). I didn't taste these two burgers but they looked mouth watering. The Trip and The Cure. There are other offerings too. The Greek Salad and Souvalaki is fresh and zesty. For beverages, there is the usual selection of soft drinks and milkshakes…then there is the Freak Shakes! 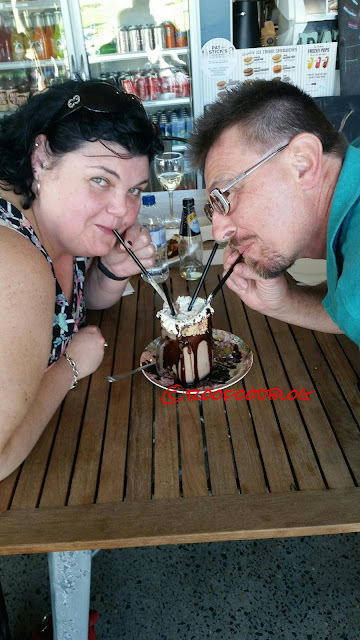 The Nutella Bomb is an eye popping chocolate milk shake/dessert delight. 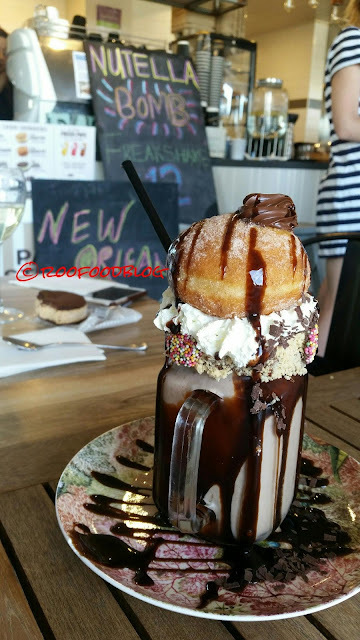 Topped with a nutella filled donut and whipped cream, it truly is the BOMB! 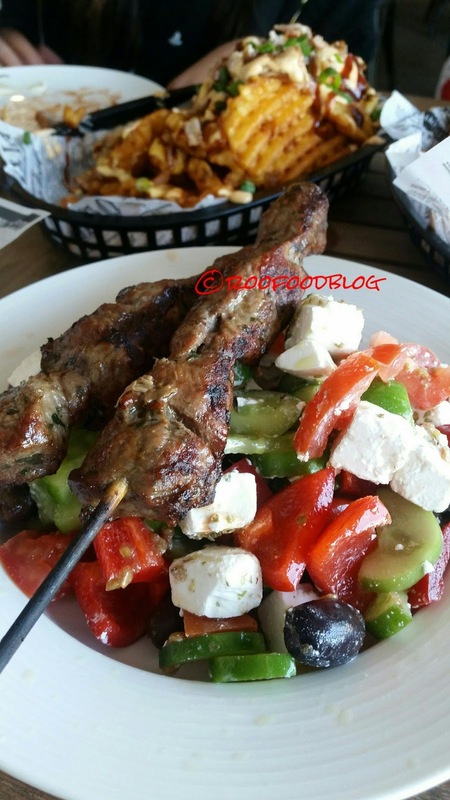 Perfect to share over a romantic lunch? Bare Grill is the perfect lunch or dinner spot (and a walk along the beach to walk off the food coma). Get there early (particularly on a sunny day and coming into the Summer months). The lines get long and crazy. If you are in need of an ice cream they offer Pat and Stick's cookie icecreams!!! 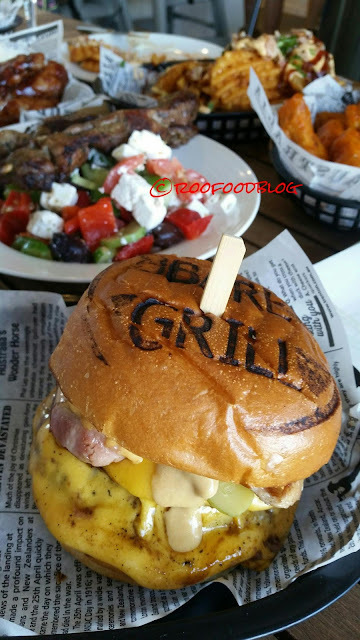 In 3 days time Bare Grill is coming to Surry Hills. Friday they open their doors to a second venue. 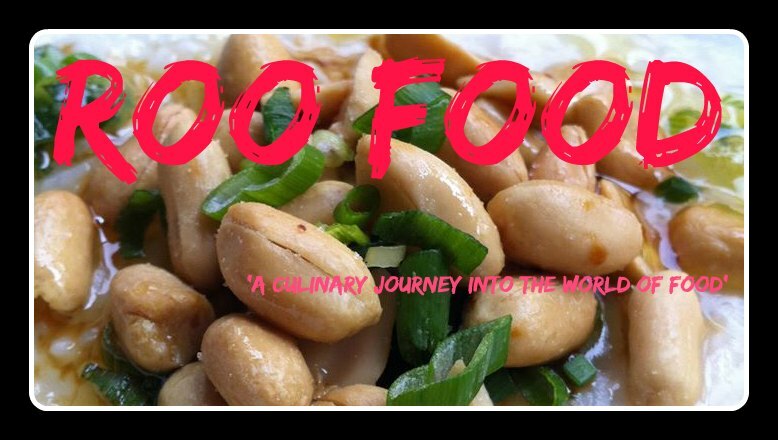 the menu will offer some new burgers and my tastebuds can't wait. 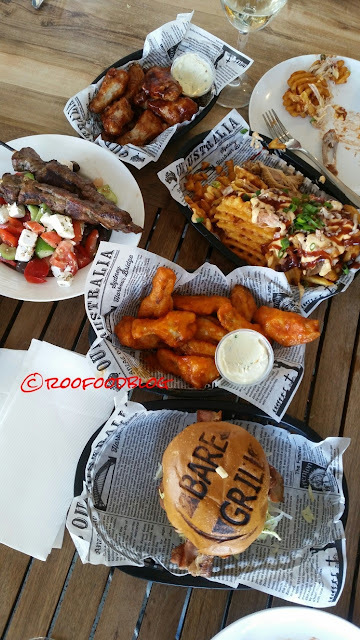 *Roofood dined as a guest of Ompty and Bare Grill. Thanks for a fab lunch!